Lying in the Pocono Mountains of Pennsylvania 1,500 Feet Above Sea Level there is Bear Creek Lake. Bear Creek Lake is a peaceful and restful Community with Permanent and Vacation Homeowners. 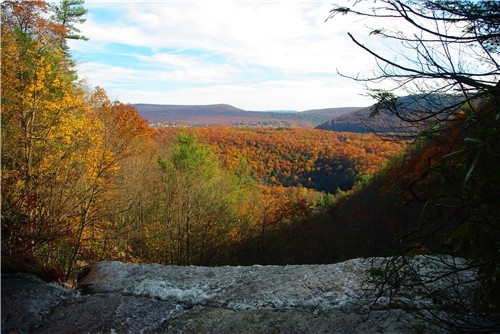 Located along Route 903 in Jim Thorpe, Bear Creek sits quietly in the woods, but it is also close to some of the Finest Pocono Resorts for Skiing and Winter Time Fun. Three miles of shoreline surround 160 Acres of Bear Creek Lake! The Beautiful Lake is Fully Stocked for Fishing, Boating, Sailing, and Swimming along with two private beaches. Bear Creek Lake is your ideal Pocono Mountain Amenity Filled Community. Amenities for Bear Creek Lake include 2 Private Beaches, a Lake, a Heated Olympic Sized Swimming Pool, a Wading Pool, Tennis Courts, Shuffleboard, Bocce Court, Softball Field, Basketball Courts, Volleyball Courts, Picnic Areas, and Playgrounds. This Community also has a Large Pavillion and Clubhouse which are available for Private Parties. Close at hand there are 26,000 Acres of Pa State Gamelands offering up the finest of Grouse, Rabbit, Ring Neck Pheasant, Squirell, and Deer Hunting to be found anywhere. Bear Creek Lake is perfect in location being a short drive away from the Pennsylvania Turnpike, Hickory Run State Park, Francis E Walter Dam, Skiing, Facilities, Pocono Raceway, and many other Fine Pocono Resorts that surround the Community. It is also right next door to Pocono White Water Challenges for all of your River Riding Adventures! Located in Penn Forest Township, Bear Creek Lake is a Secluded, Private, Lake ( 137 Acre) Community, but it is not so secluded with Pocono Features and other Pocono Resorts being a short drive away! Bear Creek has its way of giving you the Mountain feeling amongst many attractions. In your own Mountain Retreat, you are a long distance from the go go hustle of the city. The Lehigh River runs through Jim Thorpe Pa. What a Beautiful Site! CLICK HERE For a FREE MLS Search at my Website! The Lehigh River Flows Through Riverside Estates! Gamelands Surround The Hunters Paradise! Buy a Home On The Gamelands! Lakefronts in the Poconos Are Number One! Looking For a Lakefront? Look No Further! Buy a Home Right On The Lake In Arrowhead! Pile Into Big Boulder For Winter Time Fun! Beautiful Home, Great Price in the Trails! The Lehigh River Flows Threw Riverside Estates! Lakefronts, Rivers, & Creeks OH MY! Woody & Rustic Community With Homes Available! Settle In At Your Favorite Pocono Resort! Come To Arrowhead Lakes With Your Appetite! Arrowhead Lakes Is a Step Above The Rest! In The Poconos & At The Slopes! 2 Incredible Homes Priced Right in the Trails! BEST Bargain in the Trails! Pocono Resorts Make The Mountain Go Round! The Best Bargain In Towamensing Trails! Find a Home In Your Favorite Pocono Resort Today! Voted Best Real Estate Company in the Poconos! Lake Community Near The Race Track! Voted Pocono's Best Real Estate Company! Welcome To The Pocono Ski Resorts! Come To JFBB While It's Still Snowing! There's a Pocono Resort For Everyone! JFBB Is The Heart And Soul Of Pocono Resorts! Holiday Pocono is a Charming Family Community! Pinecrest Lake is Basically a Pocono Resort! Big Bass Lake Is Incomparable! Surrounded By Pocono Resorts is Emerald Lakes! Enjoy Winter Time Pocono Resort Fun!